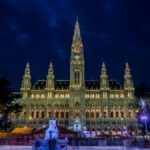 Enjoy this exciting tour to four capital cities; explore Zagreb, Ljubljana, Vienna and Bratislava over 12 nights with us! This exciting central European tour is designed for adventurous travellers looking to combine Croatia with other countries in the region. Start in Zagreb and continue towards Ljubljana in Slovenia, Vienna in Austria and Bratislava in Slovakia. This grand tour to four capital cities includes historic and cultural city tours, private taxi transfers and train tickets, as well as accommodation of your choice with breakfast included. All these countries had once been a part of the mighty Habsburg Empire; traces of the grand past can still be witnessed on the cobbled streets of their old towns. Enjoy the private guided tours included in this package and learn about the extraordinary history, architecture and art as well as the modern life of these Central European centres. Optional day trips can be added to this itinerary; we suggest a day trip to the UNESCO-protected Plitvice Lakes National Park from Zagreb and a visit to Bled Lake from Ljubljana. Don’t forget to visit the beautiful Schönbrunn palace on the outskirts of Vienna and the iconic Bratislava castle. Please note this is a private tour and the proposed itinerary can be changed according to your wishes! Our driver will pick you up from Zagreb Airport and drive you to your hotel in Zagreb. 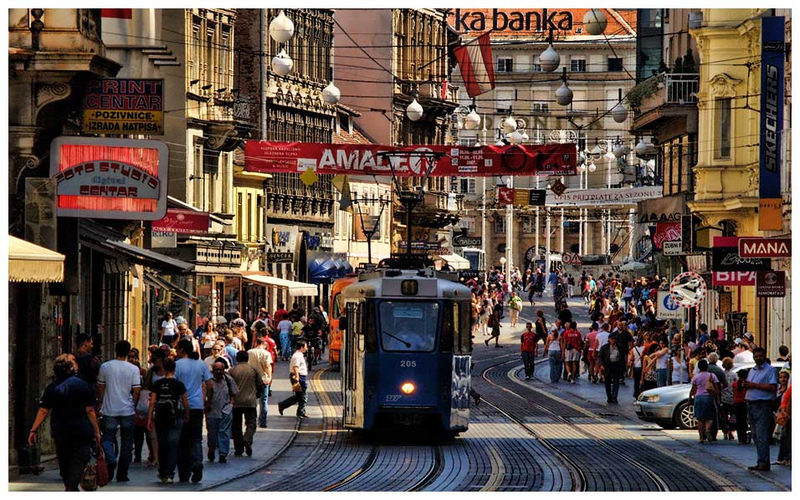 Today, we’ll arrange a walking tour of Zagreb for you. 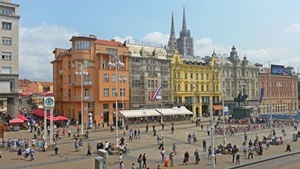 Walk the cobbled streets of Zagreb Upper Town and the buzzing Lower Town. On your way, you’ll see the remarkable Medieval Church of St Mark on the Parliament Square, the Zagreb Cathedral, the popular Ban Jelačić Square, the Croatian National Theatre and more. Free time for other activities. Enjoy your free time in Zagreb. We can organise extra activities/day trips for you (see the list below​). Suggestion: enjoy a day trip to the UNESCO-protected Plitvice Lakes. 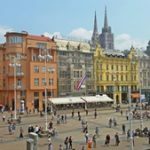 Our driver will pick you up from your hotel in Zagreb and drive you to your hotel in Ljubljana, the capital city of the neighbouring country of Slovenia. Transfer time: 2 hours. 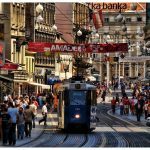 Alternatively, we can book train tickets from Zagreb to Ljubljana for you. Today, we will organise a private guided walking tour of Ljubljana for you. Ljubljana is the capital city of Slovenia, famous for the charming city centre with romantic bridges. 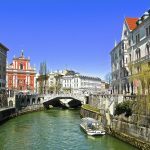 Walk the charming streets of Ljubljana and visit its main sights, including Prešeren Square, Congress Square, Triple Bridge and Dragons Bridge. After the tour, explore Ljubljana at leisure or have lunch at one of the restaurants. Enjoy your free time in Ljubljana. We can organise extra activities/day trips for you (see the list below). Suggestion: enjoy a day trip to the wonderful Bled Lake. 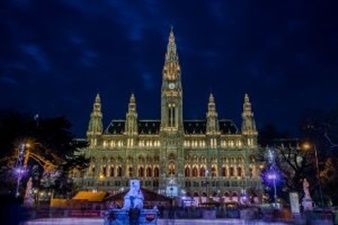 Our driver will pick you up from your hotel in Ljubljana and drive you to your hotel in Vienna. Transfer duration: ca. 4 hours. Optional stop in Graz, Austria is available. After breakfast, we will organise a private guided tour of Vienna for you. Visit Hofburg, the former imperial palace in the centre of Vienna. The palace was originally built in the 13th century and expanded later. This was where the Habsburg emperors and empresses ruled their vast empire from, and today it serves as the official residence of the President of Austria. On this tour you’ll also visit the wonderful St Stephen’s Cathedral, the Romanesque and Gothic church situated on the popular Stephansplatz. Furthermore, visit the Nashmarkt, the Karlskirche and the wonderful Belvedere castle. Finish your tour at Mariahilferstrasse, the popular shopping street with many restaurants, bars and of course – shops. Free time for your own activities. Enjoy your free time in Vienna (we suggest a visit to Schönbrunn Palace). Alternatively, we can organise a day trip for you (see the list below). Today, we’ll organise a private transfer from your hotel in Vienna to your hotel in Bratislava, the capital of the neighbouring country of Slovakia for you. Alternatively, you can enjoy a boat ride from Vienna to Bratislava. Today, we’ll organise a private guided tour of Bratislava Old Town for you. Bratislava is the historic capital city of Slovakia, situated by the Danube river. Walk its Old Town, explore the main sights and learn about the city’s rich history. Visit St Martin’s Cathedral, the Main Square featuring the Maximilian Fountain and the Old Town Hall, the Michael’s Gate and more. Free time to explore the city after the tour. Enjoy your free time in Bratislava. Our driver will pick you up from your hotel and drive you to Bratislava Airport for your flight home.